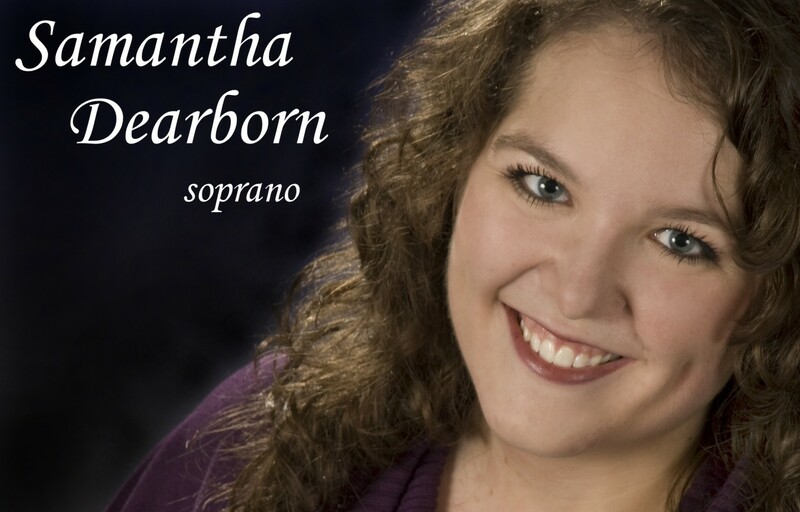 Praised for her agile high notes and sensitive treatment of text, soprano Samantha Dearborn has performed on stages in the U.S. and in Europe, appearing as both featured and guest soloist. As an apprentice at the Nahant Music Festival in 2014 and 2015, she premiered the role of Queen Eleanor in Francine Trester’s Sleeping Beauty and performed Bach solos with the Emmanuel Music Orchestra. Other performance credits include soprano soloist in Luigi Boccherini’s Gloria, Norina (cover) in Donizetti’s Don Pasquale, Lola in Douglas Moore’s Gallantry, Célie in Thomas Pasatieri’s Signor Deluso, and performances at the Kecskemét Art Festival in Kecskemét, Hungary. With a repertoire spanning from the Baroque era to the 21st century, Ms. Dearborn is a proponent of contemporary classical music and has premiered works by composers throughout Ohio and the Greater Boston area. She has participated in masterclasses with Martin Katz, James Maddalena, David Kravitz, Ryan Turner, and Adrienne Csengery. Ms. Dearborn received Master of Music and Graduate Performance diplomas in Voice from The Longy School of Music of Bard College. Previously, she received a Bachelor of Music with honors in Vocal Performance from Capital University. She currently works as a teaching artist with the Metropolitan Opera Guild Urban Voices program in Boston.